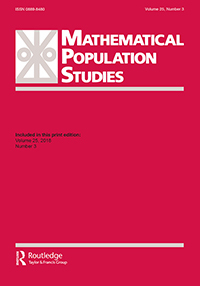 Toepoel, V. & Funke, F. (2018). Sliders, visual analogue scales, or buttons: Influence of formats and scales in mobile and desktop surveys. Vera Toepoel & Frederik Funke (2018). In an experiment dealing with the use of personal computer, tablet, or mobile, scale points (up to 5, 7, or 11) and response formats (bars or buttons) are varied to examine differences in mean scores and nonresponse. The total number of "not applicable" answers does not vary significantly. Personal computer has the lowest item nonresponse, followed by mobile and tablet, and a lower mean score than for mobile. Slider bars showed lower mean scores and more nonresponses than buttons, indicating that they are more prone to bias and difficult in use. Sider bars, which work with a drag-and-drop principle, perform worse than visual analogue scales working with a point-and-click principle and buttons. Five-point scales have more nonresponses than eleven-point scales. Respondents evaluate 11-point scales more positively than shorter scales.